For starters, you won’t find us there because we care about you – our customer! 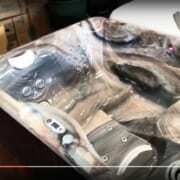 Traveling hot tub expos can be intriguing, but they are also the scariest place to buy a hot tub! 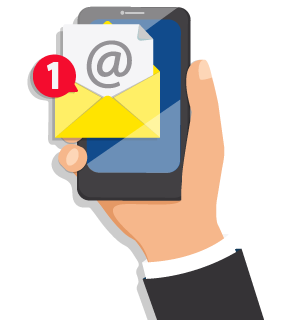 Check out this article to learn why you won’t find us there. You’ll find that hot tub and swim expos are usually advertised as national events representing the top national brands. This is far from the truth. You will not find household name-brands such as Hot Springs Spas, Hot Spot Spas or Freeflow Spas at a traveling expo. Hot Tub expos are set up quickly, run by a high-pressure sales staff, torn down quickly, and moved to the next city. The odds that you’ll ever see these folks again is literally zero. What does this mean for you? It means they are not around to help you set up, use, maintain, troubleshoot, service and take care of your hot tub. At a traveling show, you usually can’t try out a hot tub. Because it’s a one-weekend only event, the hot tubs are sold right off the floor, so you don’t have a chance to test soak the spa. When you buy a car, you take it for a test drive. The same is true for hot tubs – it’s always a good idea to wet-test it before you buy so you know how the jets feel, and if the seating is comfortable. You can bet the sales staff you find at traveling hot tub shows are well-trained to make the sale. After all, they only have one shot at closing the deal and making the commission. They can’t wait a week for you to think about it. We like our customers to take their time when considering adding a hot tub to their home. A hot tub is an investment for a lifetime, and we want to make sure you like it. In fact, we recommend a backyard consultation before you buy your hot tub so we can make sure you have the perfect spot for your new spa. Traveling expos can’t offer this. 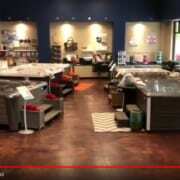 You might hear the advertisement on the television or radio that says prices are 50% off with an extra $500-$1000 off. Sounds great, right? Well, it depends on the regular pricing. Perhaps that’s what you’re really getting. Sometimes, expo prices are higher than the regular prices. This is so sellers can recoup the booth expenses. Plus, you most likely won’t find 0% for 60 month financing offers at a hot tub expo! 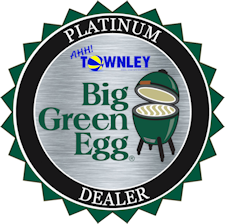 When you buy a hot tub from Townley Pool and Spa, you know you’ve made a purchase from a company you trust. We can offer you references and reviews. Can the hot tub expo say the same? Does the expo deliver at all, do they drop the tub at your drive-way, or do they offer set-up service? The answer to most of those is probably no. Our team delivers your hot tub and talks you through set up. We can provide you with energy costs for each hot tub well. Can the expo? We’ll be around for warranty work. Does the expo offer a warranty? And, if they do, how will you get the work done? You can call us with questions at any time. We offer a full service team that can help you if problems arise and make any necessary repairs. You’ll find all the chemicals you need and as a bonus, we’ll offer advice. The expo doesn’t care about your water care. We do. You can bring us a water sample to test to make sure you have the clearest, cleanest water. We care about you and your investment for the long-term. So, you can see why you won’t find us at a hot tub expo. We care too much about you, our customer, to sell you a hot tub in that kind of setting. If you’re interested in learning more about hot tubs in a comfortable environment, where you know you can find us today, tomorrow and years from now, stop by today or contact us!